Ki yiyeh l’ish ben Sorer u’moreh eineinu shome’ah b’kol uv’kol imo, v’yisru oto v’lo yishma aleihem… urgamuhu kol anshei iro va’avanim v’meit. If a man has a Ben Sorer u’moreh – a rebellious and defiant child – who does not listen to his parents and does not obey, they should bring him to the center of town and declare to the elders of the town, this son is insubordinate. Then the men of the town should stone him to death. The Torah clearly states that if a child is rebellious, he should be killed. 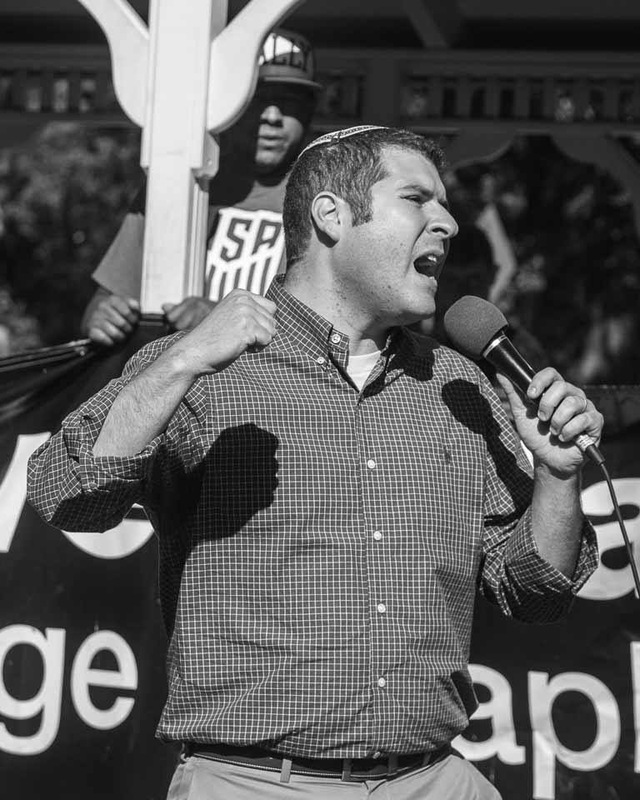 While the rabbis go out of their way to make sure this never happens, we have to deal with the problematic idea of a such a punishment being part of our scriptural core. How do you describe a rebellious child? Is this someone who defies authority? Someone who cheats? Steals? Lies? Someone who does not respect elders? I believe that the redactors of the Torah were concerned with encouraging a new generation to rise up and question authority and leadership. Moses had dealt with an enter people question his leadership and God’s law, not to mention an attempt by Korach to overthrow him as leader. Prevent such rebellion is understandable. Yet, I think we miss the goal of rebellious teens. They questions authority because they search for deeper meaning. They question authority because they see injustice and refuse to continue to go about their everyday lives accepting what has become reality. We deal with the struggle of rebellious children – or as most of us call them, teenagers – throughout our tradition. In fact, at the Passover Seder, in the Haggadah, we read about the four children. We are taught to reward the wise one, explain in modest terms to the simple child, and introduce the one who does not know how to ask to the customs and rituals of the holiday experience. But we chastise the wicked child, the rebellious child, the rasha. Yet, what is so rebellious about what this child asks? The wicked child asks “What does this mean to you?” The parent is offended that the child says “to you” and not “to me or to us.” The child does not include himself or herself in the experience. But there is nothing rebellious about what the wicked child asks. There is nothing evil. The child is simply challenging the status quo, challenging authority, looking for deeper meaning, hoping to create impactful change. We teach our children to think, bit not what to think. So a child questioning the status quo, a child committed to changing society, is something that we should celebrate, not condemn. During the Hebrew month of Elul, during these weeks leading up to the High Holy Days, we focus on what we can do in the year ahead to be better versions of ourselves. However, often, our reflection is self-introspection. We focus on our own shortcomings. We focus on our own action and inaction. We focus on what we do or don’t do, on how we can change. However, part of this month, leading up to Rosh Hashanah, which tradition refers to as the Birthday of the World, must be about more than just how we can change ourselves. 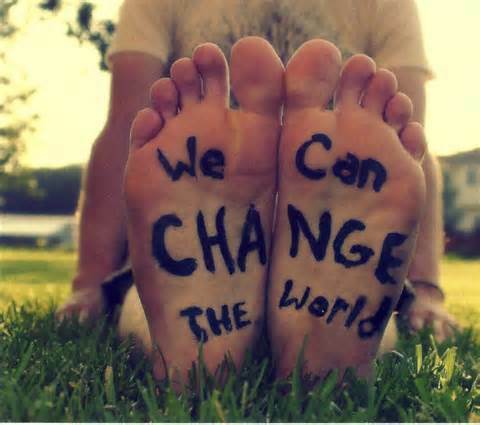 It must be about how we can change the world. It must be about how we can, as Representative Lewis said, get into a little bit of trouble, good trouble. It must be about how we can, every now and again be a ben sorer u’moreh. Maybe we are supposed to be the ben sorer u’moreh. Maybe we should act like the rasha who sought deeper meaning and change. Then, and only then, will we not only change ourselves in the year ahead, but also change the world. 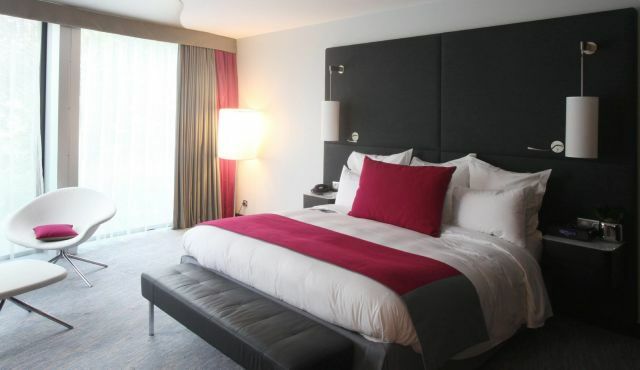 Would You Sleep Well in a Hotel Bed Made by an Underpaid Maid? This article was originally published on September 1, 2014, Labor Day, by Haaretz. The full article can be found on their website here. The Torah has much to teach us about Labor Day. For many in the United States, and especially the northeastern part, Labor Day is the official end of summer. If schools are not yet back in session, the school year begins after Labor Day. The last three-day weekend for quite a while, Labor Day is also the end of the “pool season” for communities that don’t have warm climates for most of the year. For most, Labor Day represents the finale of their vacation, one last attempt to get the most out of a summer that went by way too fast. For others, it is a day for celebrating justice. The day, thanks to the support and influence of labor unions, emphasizes the economic and societal achievements of labor workers. By marking this day, we celebrate the achievements of American workers who contribute to our society. “Justice, Justice, You Shall Pursue” (Deut. 16:20). Shoftim reminds us that, unfortunately, justice does not come naturally; it is an ideal that we must work for. We are commanded to not simply love justice, to not simply believe in justice, but, rather, to pursue justice. When we Jews consider Labor Day in the context of Shoftim, we understand that it is about more than just a celebration of hard work. It is about fighting to ensure that all those who work hard get their fair share. Labor Day becomes not just a celebration, but a reminder that the fight for justice and equality in the workforce is ongoing. Deuteronomy 16:20 continues, clarifying that we are to pursue justice so that we can not only dwell in our land, but also thrive in our land. Without justice, without each worker getting their fair share, we cannot truly thrive as individuals, as a people and as a nation. The legalized formation of labor unions with the National Labor Relations Act of 1935 was a large step toward justice and equality, fighting for the success that these workers deserve for their hard work. This law mirrors our faith’s collective imperative to pursue justice, but there is still much work to be done in our pursuit of justice for all. Even with the influence of unions, Congress has failed to act in increasing the minimum wage, in ensuring that those workers who do in fact work hard get their fair share. The current federal minimum wage in America is only $7.25. A dual-income family where both individuals are earning only the minimum wage has a household income right around America’spoverty level. Clearly, the minimum wage is far from a living wage. In light of Congress’ failure to act, cities and states across the United States have begun passing legislation of their own. Los Angeles, Seattle and San Francisco have been pushing wage increases between $13 and $15 an hour, while states like Minnesota, Maryland and Massachusetts have increased the minimum wage, albeit more modestly. Just like these states and cities stepped up and acted when the nation’s legislators refused to do so, the Jewish community, inspired by the teachings of the Torah, must exert pressure on our nation’s leaders to ensure that all hard working individuals get their fair share. We cannot, in good conscience, be comfortable knowing that those who take care of us in hotels and hospitals, restaurants and retailers, live in poverty. We cannot allow them to work hard and not make a living wage, just to keep prices lower for us, the consumer. We cannot sit at the pool and celebrate Labor Day when those who serve us poolside are not getting their fair share. We must pursue justice. We must ensure that the minimum wage in America is a living wage. We celebrate the worker because it is hard work that leads to freedom, justice and equality. The essence of the American promise, as well as the promise of democracies throughout the world, is that everyone has a fair shot. In a land of equal opportunity, if you work hard, you can succeed. It is up to us, to ensure that success for all. I’ve officially been nominated three times – by my brother Rabbi Avi Olitzky, by my colleague Rabbi Dahlia Bernstein, and my friend Adam Shapiro – to participate in the ALS Ice Bucket Challenge. Many more have asked wondered where my video is, wanting to know why they haven’t yet seen me embarrass myself on YouTube by pouring ice water on my head. 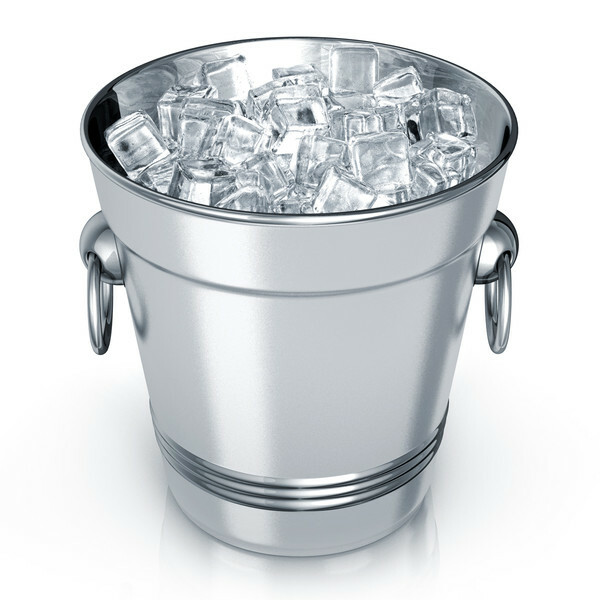 It’s not that I’m against pouring a bucket of ice over my head. This challenge, to raise money to cure ALS and to raise awareness for what ALS – Amyotrophic lateral sclerosis, often referred to as Lou Gehrig’s Disease – is, has taken social media by storm. In just a couple of weeks, it has raised well over $42 million for the ALS Association. Athletes, former Presidents, even Oprah has poured a bucket of water on their head to raise awareness. Incredible. Yet, I question the need of so many to get a thrill out of this challenge, to make it about pouring a bucket of ice on your head instead of about ALS. When kids take turn challenging each other, without learning what ALS is or what they can do to raise awareness, I wonder if we have lost sight of the point of this challenge. It is true that it shouldn’t matter what people are doing to raise money and raise awareness. With only roughy 12,000 people in the United States affected by ALS, raising awareness is just as important as raising money. I know many fighting ALS. I also know others fighting some not-so-well-known degenerative neurological disorders such as PLS (Primary Lateral Sclerosis) and Huntington’s Disease, which hits particularly close to home as my father-in-law passed away over six years ago as a result of HD. I know firsthand the importance of educating and raising awareness, for awareness leads to action. Action cannot be just dumping a bucket of water on your head. If you want to dump water on your head, then do it. But this challenge cannot be and either-or scenario. You cannot either dump water on your head or donate. You must dump water on your head and donate. If there is a someone in need among you, do not harden your heart and shut out the person. Open your hand and lend him whatever he needs. There shall be no needy among you. We must strive to rid this world of such devastating diseases and illnesses as well. So, while $40+ million is remarkable, that won’t do it. Such fundraising is only a drop in the bucket – pun intended. According to NBC News, the National Institutes of Health (NIH) gives out roughly $30 billion in medical research. Not only has Congress failed to increase the NIH budget to keep up with inflation, it has also slashed its budget by over 20%, over $6 billion, over the past decade. As a result, the NIH has cut in half the number of research funding grant it now approves, making it even more difficult to provide cutting edge medical treatment for these devastating diseases and making it more of a challenge to work towards a cure for these illnesses. So despite our best efforts, despite our viral campaigns and use of social media, despite our willingness to dump ice water on our heads, despite our attempt to truly follow the command of Deuteronomy 15:7 — to help those in need — we have a long way to go to fulfill our commitment to make Deuteronomy 15:4 a reality. We cannot forget about our charge to end illness, to end disease, to find a cure. I donated money to ALS research, as well as Huntington’s Disease research, but I have another challenge for all of you. Dump a bucket of ice on your head if you really want to, but donate as well. However, that is not the challenge. I challenge you to also write your congressional representatives. Call them. Vote. Ask them to increase the budget of the NIH. If they refuse, ask them to explain to you why they won’t. Ask them to explain where money going towards medical research, money towards finding a cure, would be better spent. To make real change, we can’t just donate. To make real change, congress needs to recommit to supporting the National Institutes of Health. Let us live in a world where we aren’t just committed to giving tzedakah, but committed to curing pain, suffering, and illness. Let us live in a world where there shall be no needy. I’ll certainly pour a bucket of ice on my head for that!